UKTV has bestowed upon us something that cannot be unseen. 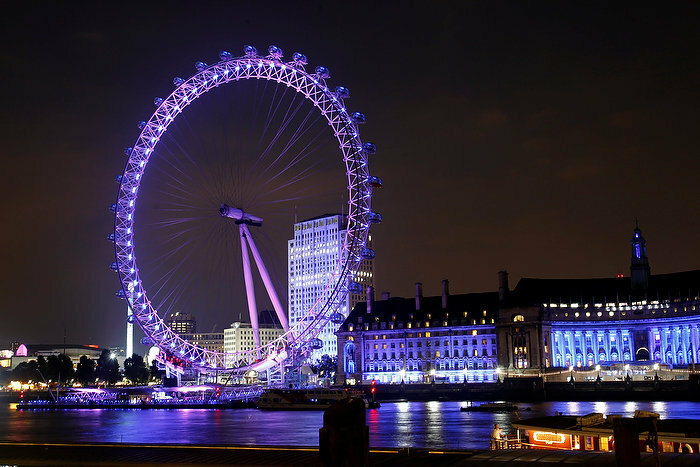 These days, it isn't unusual for a company to engage in non-traditional forms of marketing to promote a new product. Example of cool marketing done by Ad Agency Marcel to let people know about Coca-Cola's new grip bottle. Yup...Your eyes do not deceive. 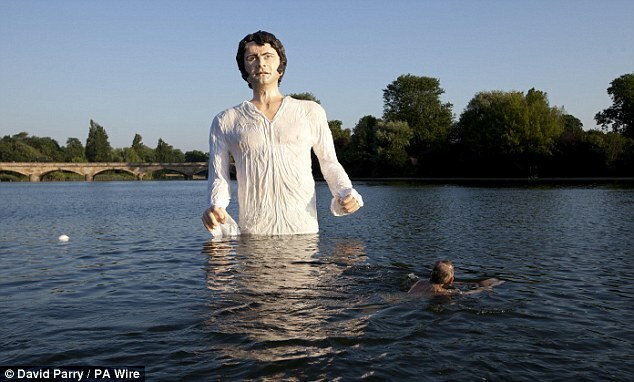 That is a creepy 12-foot-tall Mr. Darcy poppin' outta the Serpentine Lake at Hyde Park in London. 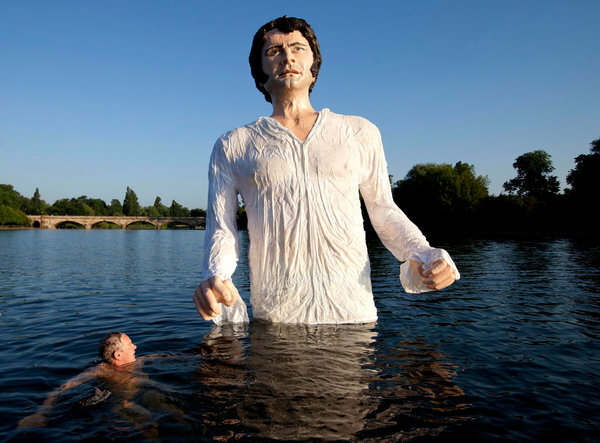 Creepy!Darcy is made out of fiberglass and made his public debut on July 8, 2013. Creepy!Darcy will continue to haunt your darkest nightmares as he makes stops all over the UK before settling in Lyme Park, Cheshire where the scene from the 1995 TV miniseries was filmed. But this got me thinking--something so disturbing must have been lurking around for a while. Where else could he have been poppin' up? 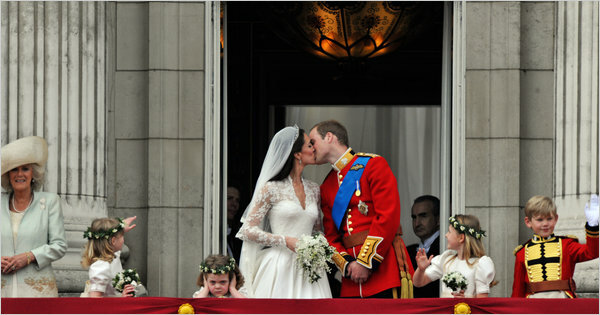 Little side-note: I'd like to thank my awesome friend Alz for providing me with her photoshop skills.